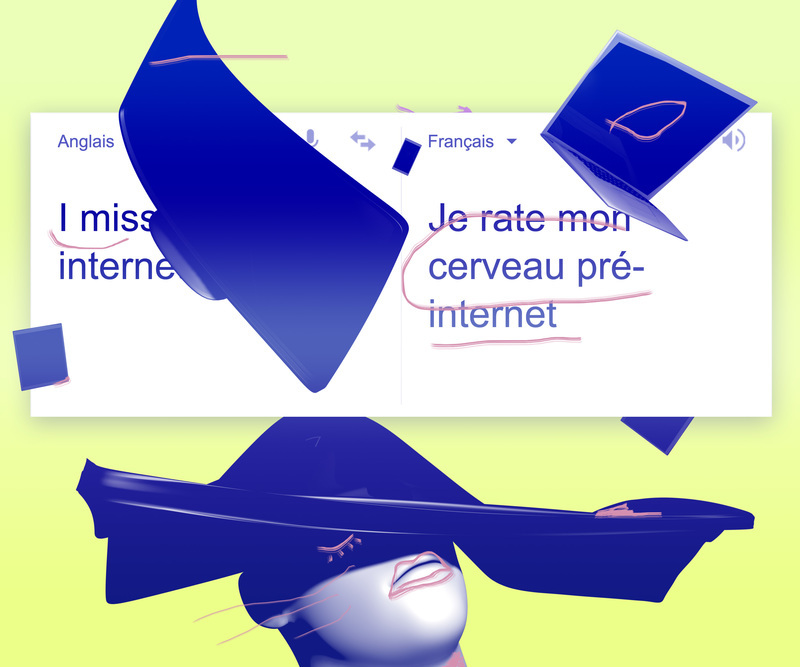 Je rate mon cerveau pré-internet is an immersive audio-visual installation combining digital projection, with light and spatialized sound devices. Set in the inner courtyard of the Musée d'art et d'histoire of Geneva, it establishes a questioning about the archaeology of the present time, and more specifically on the memories of a time barely past and yet already distant: the one before the internet. The title of the work itself, an automatic and erroneous Google translation of a sentence by Canadian artist Douglas Coupland “I miss my pre-internet brain”, refers to our uncertain condition of humans tossed between the still perennial memories of a non-interconnected daily life and the total overthrowing of the situation that we live in today, that deeply modifies our relationship to the world, to territory, to other people and to ourselves. With a mix of human intervention under the form of reworked interviews, augmented by a graphic creation mapped on the façade of the courtyard, a specific light device and a soundtrack mixing language and sound experimentation, Je rate mon cerveau pré-internet discusses video mapping through a sociological, poetic and forward-looking way.